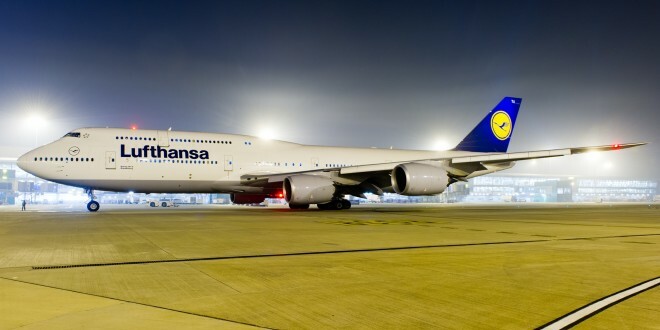 German flag carrier Lufthansa has announced effective July 15, it will upgrade the existing Boeing 747-400 on the daily Mumbai Frankfurt service, and fly the new Boeing 747-8i. 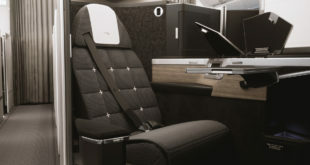 The 747-8i features the new Lufthansa business class product which features a special air-cushion seats which converts into a 56 cm wide 195 cm long full-flat bed, and is one of the best business class hard products we have experienced. 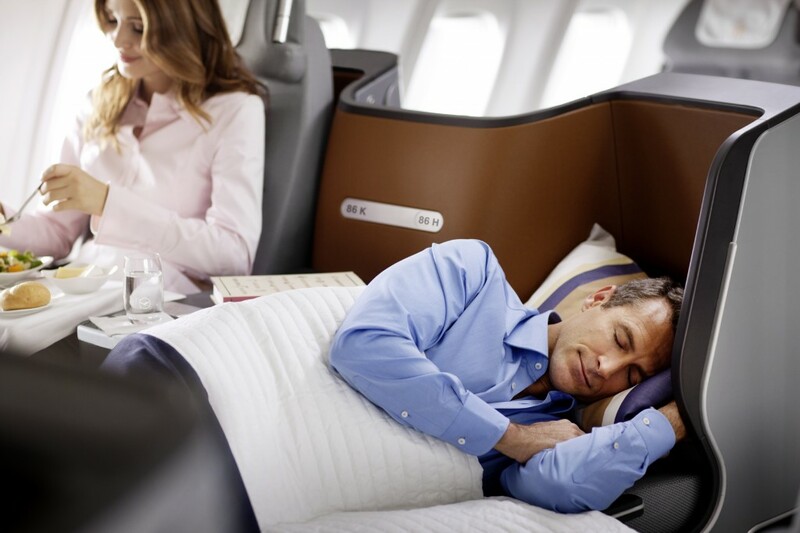 (Read our business class trip review). 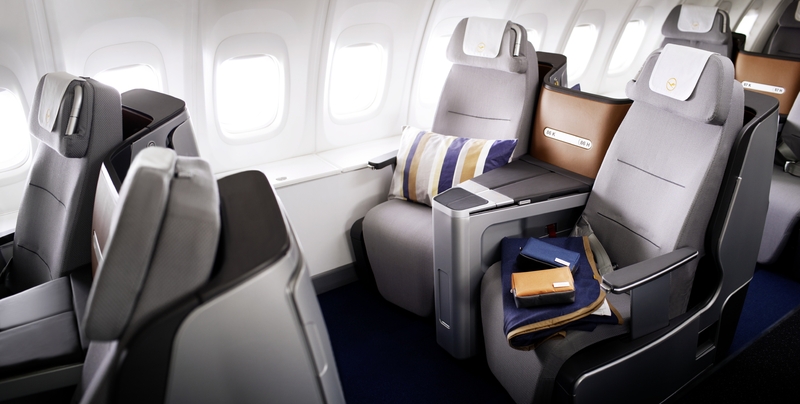 Lufthansa already offers the new business class seats ex Mumbai on its A330-300 service to Munich. Disclosure. The author has flown Lufthansa’s new business class aboard the Boeing 747-8i on his own account in March 2013. Lufthansa new business class seat. Photo courtesy Lufthansa. 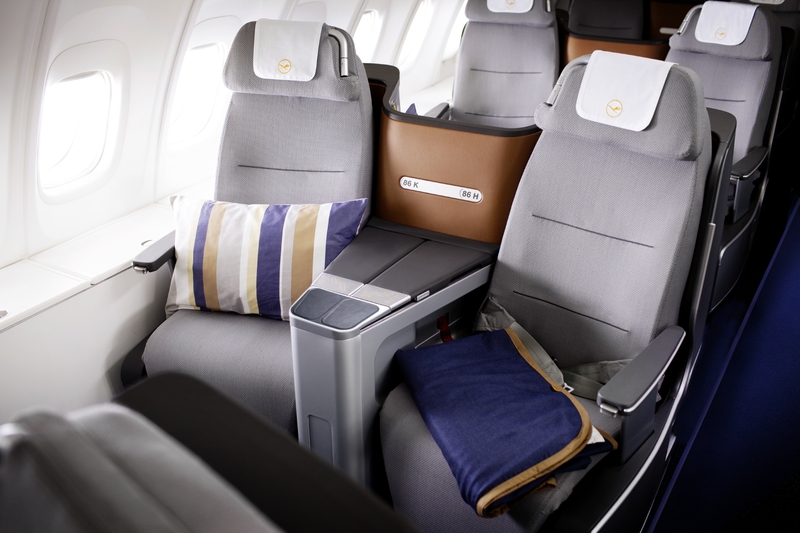 Lufthansa new business class cabin. Photo courtesy Deutsche Lufthansa. Lufthansa new business class full flat seat. Photo courtesy Lufthansa. Lufthansa new business class in-flight entertainment. Photo courtesy Deutsche Lufthansa. The first class aboard Lufthansa’s 747-8i is considered the quietest first class in the world (which we experienced by personal review of the author), with special seats featuring cushions that mould to your body with a special “shape system”, and convert to one of the widest full-flat beds in the sky with a width of 80 cm and a length of 207cm. (Read our photo review of the first class cabin). The cabin features the the white glove, red rose ‘Senator’ service of Lufthansa. The flight schedule remains unchanged. LH 756 departs Frankfurt daily at 13:30 arrives Mumbai 01:00 the next morning. LH757 departs Mumbai at 03:00 and arrives Frankfurt at 07:55. 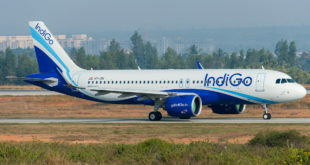 The aircraft will be in a three class configuration with eight seats in first class, 80 in business and 296 in economy. The lower deck seat map can be downloaded here and the upper deck here. Premium class passengers arriving in to Frankfurt can make use of the welcome lounge in the arrivals area of the airport. The lounge offers showers, buffet breakfast and importantly, an ironing service for the well turned out business person. For transit passengers we recommend you consider visiting the City Lights Senator lounge located near gate B42 though access is limited to first class passengers, Lufthansa HON Circle, Senator and Star alliance gold elite level members. Get more information on Lufthansa lounges. Lufthansa’s actions appear to be confirming our February analysis on which airlines could be expected to fly the Airbus A380 to India, wherein we had opined “We expect Lufthansa to operate one A380 to India. It may upgrade Delhi to an A380 and move the 747-8i to replace the 747-400 at Mumbai.” Lufthansa CEO Christoph Franz is on record saying “We will likely make it [fly an A380] for the winter flight schedule of 2014-2015.” New Delhi has always been the preferred Indian destination for Lufthansa to deploy its A380, as told to us as far back as 2009 by Karl Ulrich Garnadt, then a member of the Lufthansa Board. So Delhites can expect a super-jumbo service later this year. 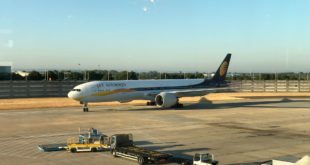 Next Video: New airlines to land in India: Good for flyers?